The Kardashian/Jenner sisters have a combined Instagram following of 472.2 million people, making it fair to say that they are one of the most followed families in the world. They’re certainly no strangers to a great palette, with two of the sisters owning their own beauty lines, and when it comes to their overall look each sister has her own distinct vibe. 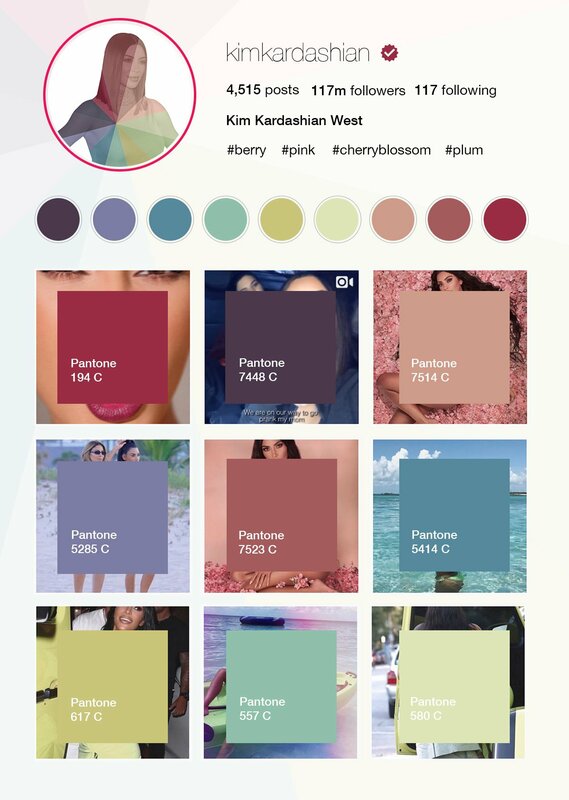 We’ve recreated a Pantone palette of shades for each of the Kardashian Klan based on their latest Instagram aesthetic! The most followed Kardashian sister is typically at the forefront of fashion trends, and in this palette we can see shades of this season’s essential colour - lime green, alongside romantic tones of pink and red that reflect the recent promotion of her new cosmetic products. 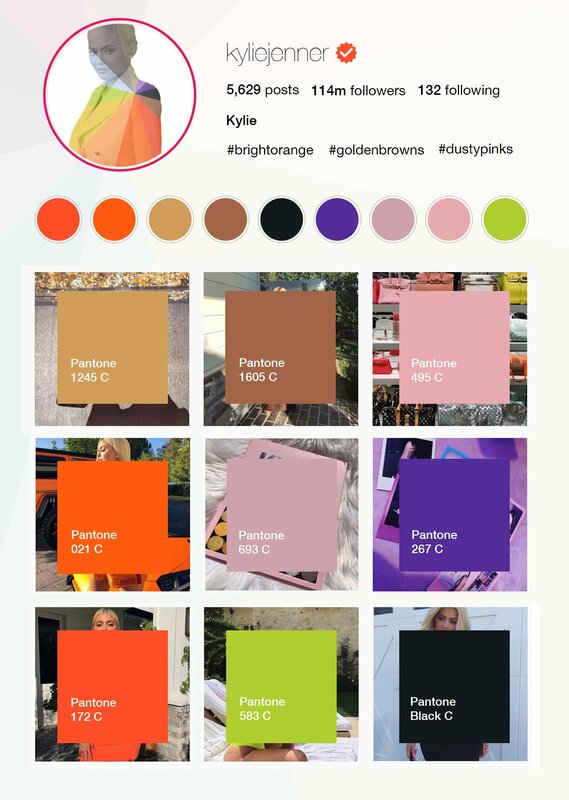 Both Kim and Kylie own their own cosmetic lines, making it no surprise that their colour palettes are somewhat similar, but while Kim’s tones are duskier, Kylie’s are vibrant and bold, with on-trend fire orange and bright baby pink standing out against black and white. 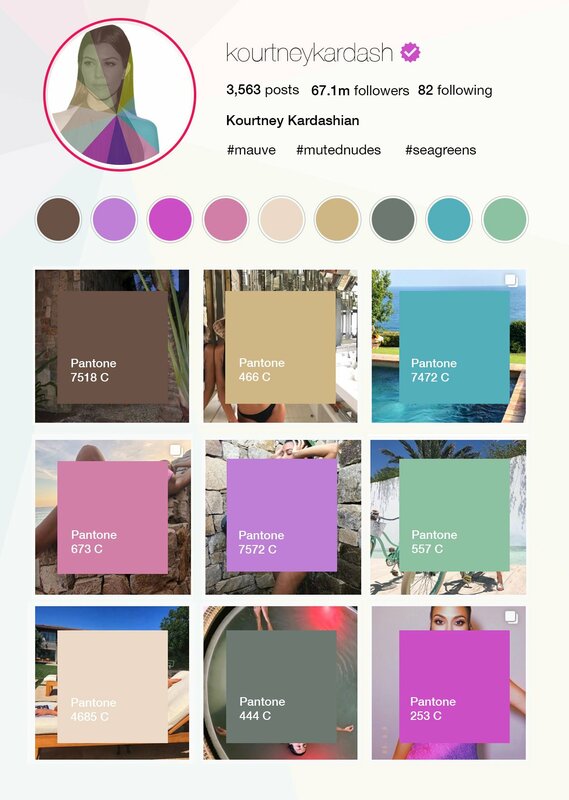 If you’re desperate to jet off on holiday, Kourtney’s colours will make you want to book a last-minute ticket and go! It seems that she’s is always on holiday at the moment, and that is reflected in her palette; from the sea greens to the pink tones of her swimsuits and muted nudes to sandy browns. With similar tones to sister Kourtney, Khloé’s Instagram is dreamy. Blue, pink, and green hues echo her sunshine-filled vacations. 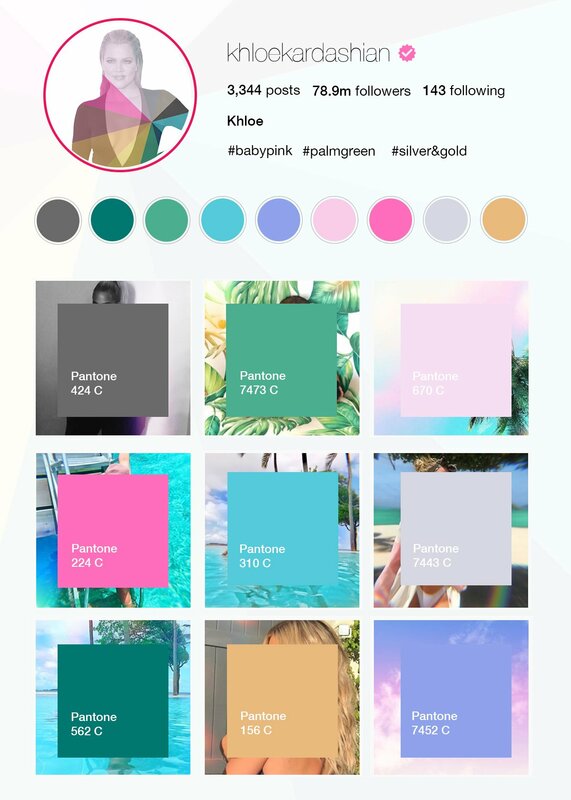 However, Khloé’s pics focus more on the vibrant seas, palm trees and romantic sunsets. 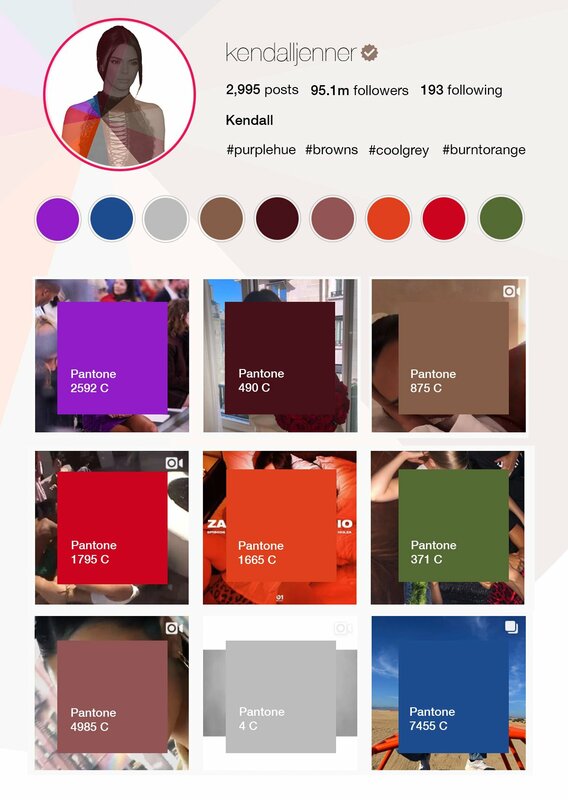 Kendall’s palette encompasses a variety of tones, from sharp purple to dusky pink to a bold blue and a muted grey. Unlike her sisters, she doesn’t follow a strict Instagram theme, with a range of colours and hues from image to image.